The first-ever British Airways Future Pilot Programme cadets have started their 18-month pilot training course this month. Only the top three per cent of applicants qualified for the airline’s dedicated training programme, with the successful 95 future pilots fighting off stiff competition from more than 3,500 hopefuls. On completion of their training the newly qualified pilots will be introduced to the British Airways fleet of aircraft, the most diverse of any UK airline, and will begin their flying careers. 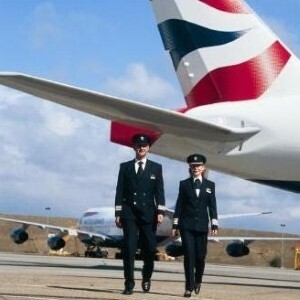 The top-flight cadets will start their training, at one of three British Airways approved flight training schools in Oxford, Southampton and Jerez in Spain, between April 2012 and February 2013. During the initial 16-month period at the flight training schools, students complete their ground theory training, cockpit instrument rating and flight training – flying light aircraft in Spain, New Zealand or Arizona in the US. The final two months of the programme is completed on British Airways’ multi-million pound simulators at the airline’s flight training centre near Heathrow, where the cadets will learn to maintain British Airways’ high standards. British Airways’ director of flight operations, Captain Stephen Riley, said: “It’s great to see our Future Pilot Programme come to life. “With this first group of new pilots entering the airline in 2013 and the second recruitment phase starting later this year, the high levels of skill and service that our customers rightly expect from British Airways’ pilots are assured for years to come.